Technology - James A. Vito D.M.D. The LightWalker® AT / AT S TwinLight® Laser, is the only Laser with both the Er:YAG (HARD Tissue) and the Nd:YAG (SOFT Tissue ) dental lasers for expanded dual-wavelength treatment. 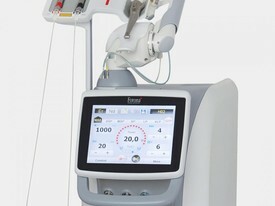 This is the only laser that is uniquely designed to treat decay in teeth, diseased tooth root surfaces caused by periodontal disease, and decontaminated dental implant surfaces caused by Peri Implantitis. It can also treat the surrounding soft tissue around both the diseased tooth and dental implants. The Fotona LightWalker is the most ergonomic, comfortable and precise laser on the market, offering the highest satisfaction for patients and practitioners alike. The Fotona laser allows Dr. Vito to perform non-surgical periodontal procedures without cutting or sutures, saving diseased and/or failing dental implants as well as perform routine restorative and root canal procedures. 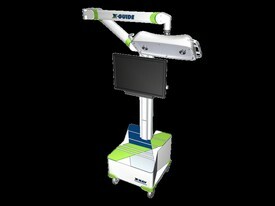 A revolutionary in office three dimensional x-ray (CT Scanner) technology. 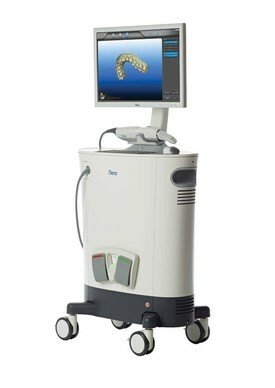 This allows Dr. Vito and his staff to evaluate your jaw(s) in three dimensions. This offers Dr. Vito the opportunity to evaluate the width, height and density of your jaw prior to dental implant surgery. It also allows Dr. Vito to show patients what their jaw structures look like and whether they are good candidates for dental implants or would need supplemental procedures like bone grafting, soft tissue grafting or both prior to implant placement. Dr. Vito can also evaluate problems with your teeth that may not be obvious on conventional X-rays such as cracks in your teeth, root canal problems or growths. With implant proprietary software, Dr. Vito can place the dental implants and show you what your completed case will look like. 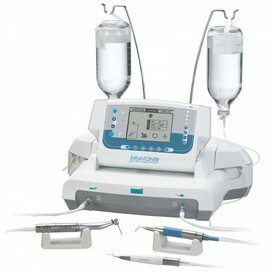 The iTero is a state-of-the-art technology designed for both restorative and orthodontic purposes. It is designed to take detailed and precise tooth impressions for crowns, bridges, veneers and clear aligners. Unlike other tooth impressions, the iTero has no mess or unpleasant taste, which is usually associated with impressions. You will be able to breathe comfortably and naturally as the device scans and takes impressions of your teeth. 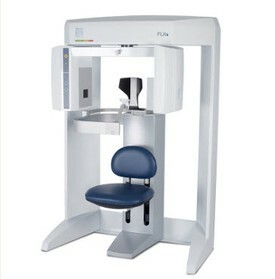 You and Dr. Vito will be able to view 3D Models of your teeth directly on screen immediately. The Piezo Surgical Unit has been developed to overcome the limits of precision and intra-operatory safety existing in traditional bone cutting instruments. Piezosurgery allows Dr. Vito to obtain high predictability and low morbidity in bone surgery such as block graft, sinus augmentation procedures, and tooth extraction. If you have any questions or concerns about our technology please feel free to give us a call at (610) 971-2590.